about indonesia: Tickets Edmondson, What's That? EVER heard Edmondson tickets? This is a train ticket is made of cardboard with a size of about 6 cm x 3 cm. Flights of this type is rarely found because of PT Kereta Api-KA (Persero) have replaced the ticket system was first introduced in the 1840s in the UK with computerized ticketing system. Reimbursement system Edmondson tickets from a ticket to the computerized system were especially carried out in large stations. In small stations in various regions in Java, Edmondson tickets are still used. Is Thomas Edmondson, who previously only furniture makers, master's or such station the station master at Newcastle and Carlisle, England, which introduced the system of findings on the railway line to Manchester and Leeds in the 1840s. The system is a payment validation system of the train ticket and accounting systems to increase income and named after the inventor, Edmondson. Along with the opening of the Railway Clearing House - an organization that is contrived to manage the allocation of collective income of the various railway companies - in 1842, Edmondson system was used as a broadly ticketing system. Various items were defined in the standard cardboard ticket. 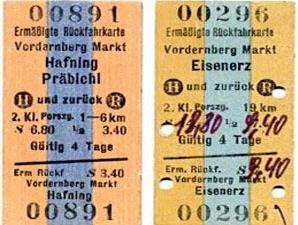 For example, the magnitude of the ticket (the original 2.5 cm x 5 cm) and given a number. When the station was issued a ticket, there are machines that will print the date in accordance with the issued ticket (ticket stamp machine). Tickets were also distinguished by destination and class (business, economics, executive). Patterns and colors are distinguished to facilitate ticket agents and prospective passengers to distinguish types of tickets. In essence, the ticket type is the Edmondson railway ticketing system starting from the shape and material of small ticket, date of printing, to the tools used by train conductors to check tickets of passengers. This ticket system later adopted by several European countries like Czechoslovakia, France, Germany, Poland, Switzerland, the Netherlands, even outside Europe such as Australia, Argentina, and the Dutch East Indies during Staats Spoorwegen (SS) to introduce the ticket system. In the UK, Edmondson tickets had been used until 1990. In some cities in the UK, the tickets have stopped even used in the 1980s. Netherlands, in this case Nederlandsche Spoorwegen (NS) - the railroad - to stop the ticket type Edmondson in 1982. The countries that had adopted the ticket Edmondson, now has a total leave the system. Switzerland is still using Edmondson tickets at several stations until December 2007. Now, the legendary tickets more widely used as a ticket to enter the train tour tempo first, heritage tourism (heritage tourism). 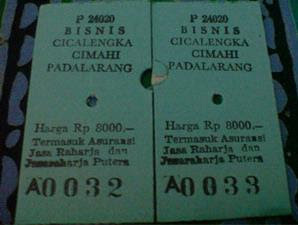 In Indonesia, Ambarawa Railway Museum still has a ticket machine or ticket stamp designer of the year 1923 Edmondson. In some smaller stations that still use these tickets, of course we can still see the entire system, starting from the ticket, stamp machines, and equipment owned ticket conductor talker. Hopefully, all the other railway equipment was not then vanished without a trace before she could be saved. Before finally the entire system stopped operating Edmondson tickets in total, should PT KA hunting soon tracked the inheritance of the past railway system, including whistles, hats and clothing for the engineer and conductor are stored on the railway museum. Edmondson ticket manufacturers must stay alive, at least to print the ticket for purposes of heritage tourism (heritage) and to preserve the plant so that the audience can look into the abdomen so that the factory building was demolished for the sake of mere business.